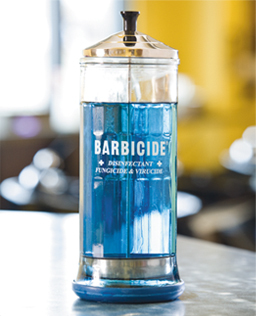 King Research, the makers of Barbicide®, recognizes that compliance with state cosmetology regulations and providing safe salon services is important to all salon professionals. To help you keep your salon, barbershop or spa clean and disinfected, we offer a full line of products specifically designed for the unique needs of the cosmetologist. In addition, many of our products have found uses in a broad spectrum of industries including healthcare, pet grooming, food service, hotels and childcare. Our hospital-grade disinfectants are EPA-approved, OSHA-compliant bactericidal, fungicidal, virucidal, and some products are tuberculocidal. 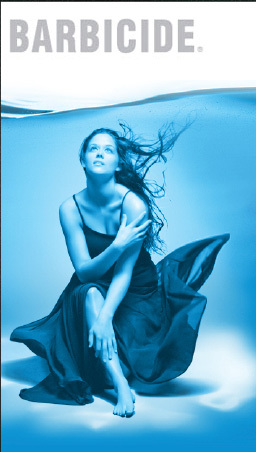 All disinfection products are effective against staph, herpes, influenza (including H1N1), salmonella, HIV-1, Hepatitis B (HBV) & C (HBC), MRSA, VRE and more. Barbicide® Plus and Barbicide® Wipes are also effective against the bacteria that cause Tuberculosis. ● Concentrate—Simple to mix, without taking up precious shelf space! ● For hard countertops and non-porous surfaces—Mix 2 ounces (1/4 cup) of Barbicide® disinfectant with 32 ounces of water, spray on surface and maintain surface moisture for 10 minutes before use or drying. ● Plastic combs, brushes, rollers, etc.